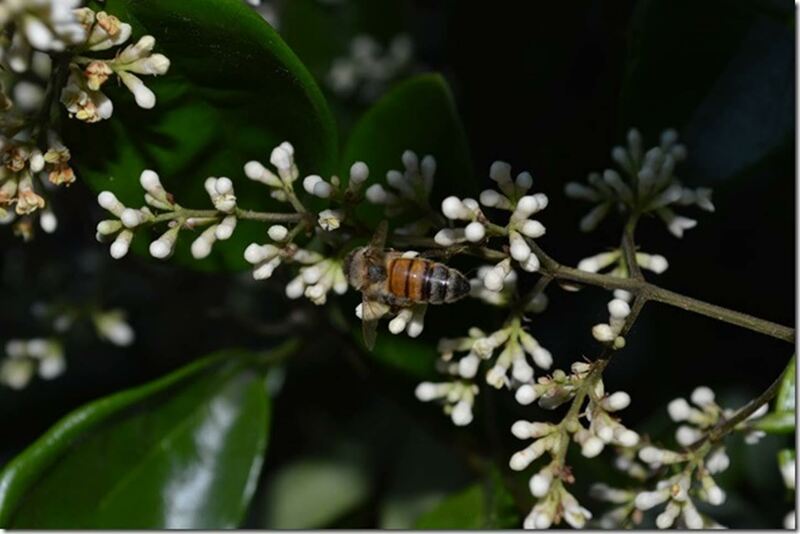 Privet is a popular shrub that produces clusters of small white flowers that are highly desirable to honey bees. Most varieties of privet are evergreen, drought tolerant once established, and grow quickly making them an ideal shrub to use in hedges as a fence alternative. Privet responds well to shaping but flowering may be compromised if hedged too aggressively. Under ideal conditions they can grow into a small tree, and do well in full sun or partial shade. The Chinese Privet (Ligustrum sinense) produces a clear colored honey with a light sweet taste. However some varieties of privet have been known to add an undesirable flavor to honey crops.